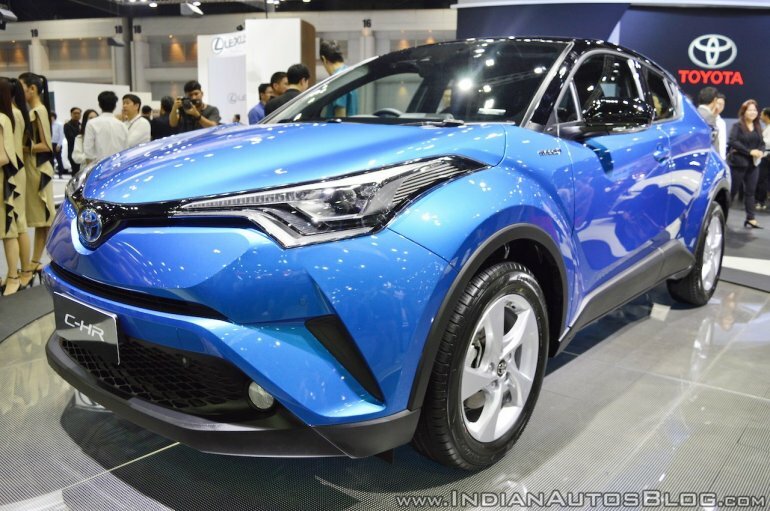 The Toyota C-HR makes it Thai debut at the ongoing 2017 Thai Motor Expo. The company is accepting bookings for the SUV at the expo. Deliveries to customers will commence next year. The production-spec Toyota C-HR was unveiled in March 2016 in Geneva. Toyota's B-segment SUV based on the TNGA platform measures 4,360 mm in length, 1,795 mm in width and 1,565 mm in height, and has a wheelbase of 2,640 mm. It packs a hybrid powertrain comprising a 2ZR-FXE 1.8L petrol engine that outputs 98 PS and 142 Nm of torque working in conjunction with an electric motor capable of generating 72 PS and 163 Nm of torque. A CVT gearbox sends power to the front wheels. The Toyota C-HR will be offered with the Toyota Safety Sense package, which includes features like Pre-Collision system, lane departure warning with steering assist, dynamic radar cruise control, and auto high beams. Colour options include three single-tone and three dual-tone paint schemes. There will be four variants on offer - HV Hi, HV Mid, 1.8 Mid, and 1.8 Entry. Prices have not been announced yet. 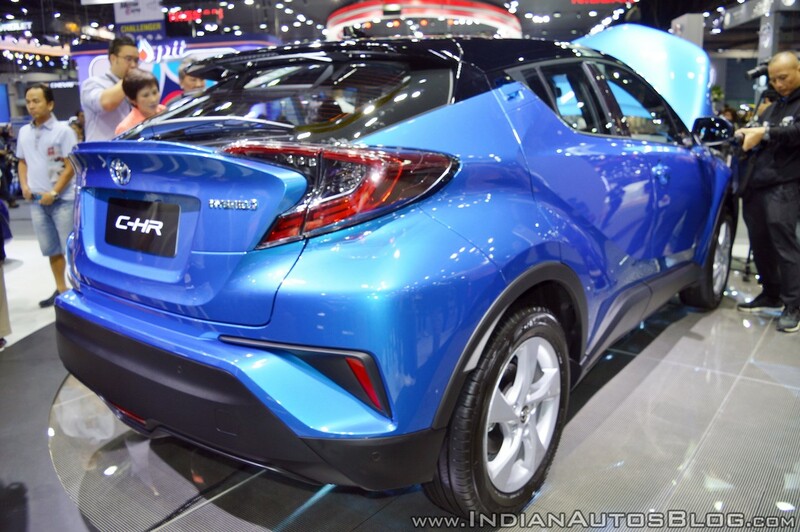 The Toyota C-HR is reportedly under evaluation for the Indian market as well. However, with diesel variants still dominating sales in that particular segment and with an unfavourable GST structure for Hybrid vehicles, Toyota may decide against launching the SUV in India.